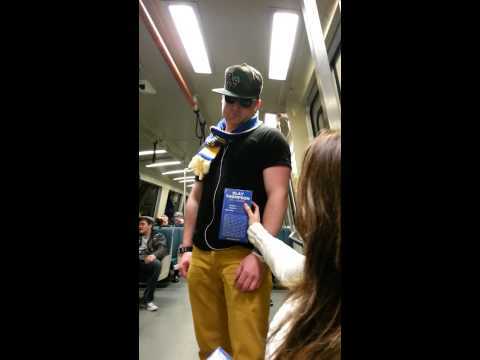 This happened about a week and 1/2 ago – Drunk guy leaves Warriors game and starts dancing on BART!! Tagged bart, dance, dancing, drunk, guy. Bookmark the permalink.